Grew up with BS Riga/Pols (Latvia) juniors. Signed for the 2007-08 season by ASK Kadeti, LBAL. Signed for the 2008-09 season, signed by BA Riga. On March'09 signed by ASK Riga. Signed for the 2009-10 season by BK Keizarmes Riga, also played with Daugavas Sporta Nams, LBLD2. Signed for the 2010-11 season, signed by BK Barons Riga. 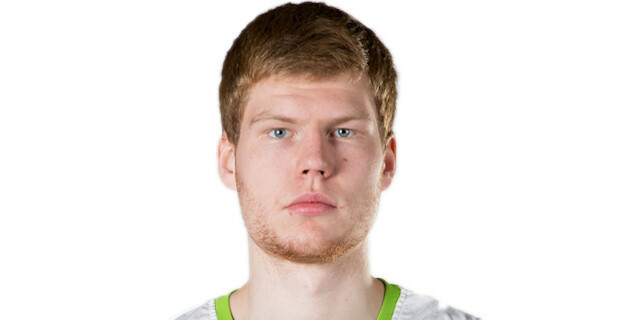 In November'10 moved to Slovenia, signed by BC Olimpija Ljubljana. Moved to Serbia, signed by BC Partizan Belgrade. Won the 2011-12, 2012-13 and 2013-14 Serbian National Championship with BC Partizan Belgrade. Played the 2011 Slovenian All Star Game. Has been member of the Latvian U-16, U-18 and U-19 National Team. Won the bronze medal at the 2010 European U-18 Championship. Played the 2011 Nike Hoop Summit.